Brand: Sheekharr Starch Pvt. Ltd. Potato starch is used everywhere. Worldwide. Potato starch products are indispensable in the food, paper and textile industries. It is impossible to imagine life without them in the adhesives and animal feed sectors. There are also many other less well-known applications for potato starch, such as in building materials for example. 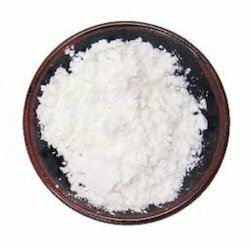 A very refined starch, containing minimal protein or fat; Potato Starch Powder is provided by us. Further, the offer Potato Starch Powder is extensively used as a thickening agent, it is best when mixed with water. In addition to this, we are offering these products to customers in wide range in safe packaging. 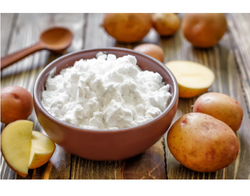 POTATO STARCH is a flour-like, gluten free substance produced only from the starch of the potato. It is a very fine powder and can be used with other types of flour for baking. It can also be used as a thickening agent. Angle Starch and Food Pvt Ltd. In order to meet excellent quality standards, we are supplying Potato Starch Soluble. Potatoes have been used as a source of raw material for high-quality starch for over 150 years. In addition to product quality, the consumption of fresh water and energy are now playing an ever more important role in potato starch factories. For this reason, GEA Westfalia Separator Group developed process lines which also convince users from these economic points of view. It is starch that creates the crisp texture in fried foods and helps holding the coating together on food before being cooked. Specification, quotations and other information about our company, feel free to contact us. We are leading manufacturer, exporter and suppliers of Potato Starch powder. Potato starch is starch extracted from potatoes. The cells of the root tubers of the potato plant contain starch grains. To extract the starch, the potatoes are crushed; the starch grains are released from the destroyed cells.